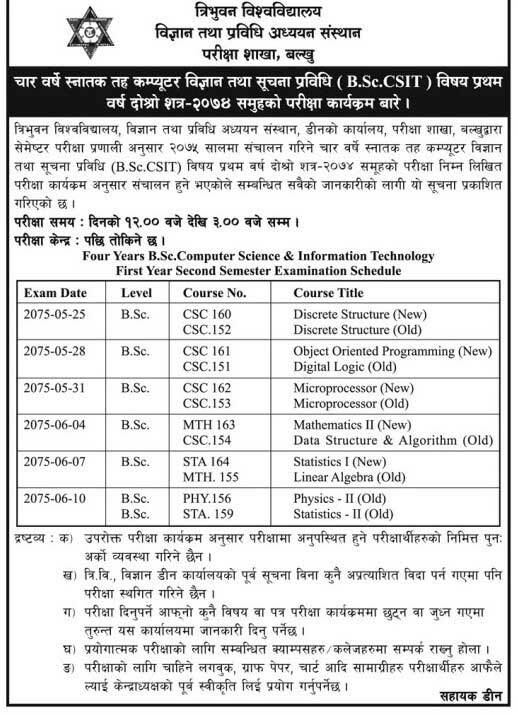 Tribhuvan University, Institute of Science and Technology, Dean Office, Exam Department, Balkhu has published the examination schedule of 4 Years B.Sc. CSIT First Year Second Semester- 2075. The examination starts from Bhadra 25, 2075 (10 September, 2018). Examination Center will be notified later.